‘Prawns Ja Season 2’ – the best value river prawn dinner buffet in town. Come and experience the all-time favourite ‘Prawns Ja Season 2’ dinner buffet at The SQUARE restaurant, Novotel Bangkok Fenix Silom today! Book River Prawn Dinner Buffet now! Available Every day from 18.00 – 22.00 hrs. We’re sure you’ll love our best value River Prawn buffet promotion in town! Since 2018, our all-you-can-eat river prawn buffet has never failed to satisfy all the buffet lovers! 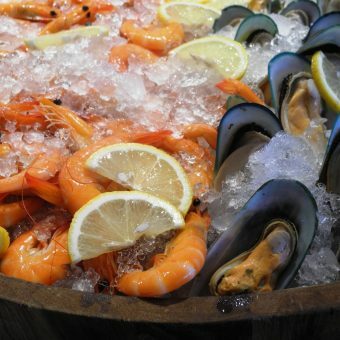 Whether you look for succulent grilled river prawns, seafood on-ice station or parmesan cheese wheel pasta, our popular buffet promotion has them all. And because of the increased popularity, we’ve now extended the promotion to last until the end of April 2019! This time, we proudly introduce the new buffet line full of mouth-watering delicacies for you to choose from. In addition to succulent grilled river prawns, seafood on-ice station, we dish up a range of tasty pork recipes such as German pork hocks, confit pork belly with chocolate sauce, roasted pork with orange salad, honey pork ribs and several delectable chicken dishes such as smoked bagasse chicken, chicken stew with turmeric and baked chicken with white wine sauce. For those looking for healthy options, our salad corner and a dish of steamed sea bass with lemon sauce are also served in our buffet spread. Other favourite Thai dishes including Lotus Miang Kham, papaya salad with shrimp and green curry fried rice are recently introduced to our new buffet line as well. Craving for sizzling stir-fry dishes? Our new highlight of Prawns Ja Season 2 Buffet goes to the ‘Stir fried river prawn station’ where you can head for ordering your own cook-to-order river prawn wok dish. Simply select your preferred stir-fry sauce from the 3 options: black pepper, garlic and pepper, or spicy with herb, then enjoy! What makes our latest buffet promotion so special are the 2 menu highlights of the day! On Monday to Thursday, you will savour the taste of fresh oysters, while river prawn thermidor is ready to satisfy you on every Friday to Sunday. What else do we offer? How about grabbing a slice of pizza or heading for our sushi & sashimi corner? These must-try menus have always made the perfect addition to our extensive dinner buffet. To round out your meal, we invite you to try a selection of decadent desserts featuring cakes, mousses, ice cream, fresh fruits, tea, and coffee. – Having said that, we’re sure there is something to satisfy all taste buds! The SQUARE restaurant is located on the 6th floor of Novotel Bangkok Fenix Silom. 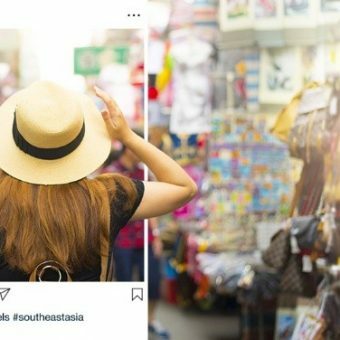 Set in the prime area of vibrant Silom district, the hotel is in close proximity to the 2 nearby BTS Skytrain stations (Surasak or Saphan Taksin), making it a great dining venue for all buffet lovers! We also provide complimentary 6-hour parking for all guests dining with us every day. Visit 3 Hotels – Dine 3 Buffets and Enjoy 1 Free Dinner! 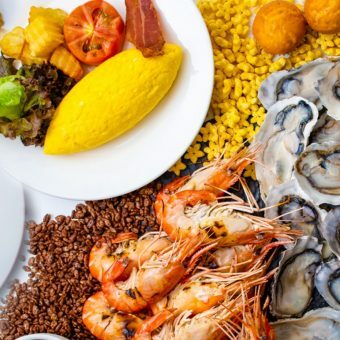 Known for their best seafood buffets in town, our 3 AccorHotels – Novotel Bangkok Fenix Silom, Novotel Bangkok Ploenchit Sukhumvit and Pullman Bangkok Grande Sukhumvit – are proud to present the most delectable seafood buffet promotions for all dining lovers! If this sounds good to you, don’t miss out a chance to claim your free dinner at the chosen hotel after visiting our 3 hotels to enjoy each buffet then collect 3 stamps from us to receive a reward. It’s as simple as that!